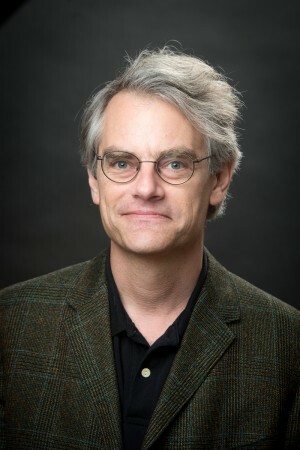 A Randolph philosophy professor has been selected for the Garrey Carruthers Endowed Chair in Honors visiting scholar position at the University of New Mexico. David Schwartz, philosophy professor and The Mary Frances Williams Chair in Humanities, will assume the role during the 2017-18 academic year. As the Carruthers Chair, Schwartz will teach two upper-level seminars—one on environmental philosophy, similar to a course he has taught at Randolph, and another entitled Art and Human Nature, which stems from research on the evolutionary biology of artistic behavior. He will also present public lectures on re-wilding, the practice of restoring ecosystems harmed by human development, and consumer ethics, which was the topic of his book, Consuming Choices: Ethics in a Global Consumer Age. The second edition of the book was released in April. Located in Albuquerque, New Mexico, UNM is a Carnegie Research I Institution and a Department of Education Minority Serving Institution with an enrollment of 30,000 undergraduate, graduate, and professional students on five campuses. In addition to its own resources, the university offers ideal access to the scientific, artistic, cultural, and natural riches of Santa Fe, Taos, Los Alamos, and other New Mexico areas. Schwartz plans to take advantage of some of those opportunities during his stay in the area.